Ridiculously easy to use! 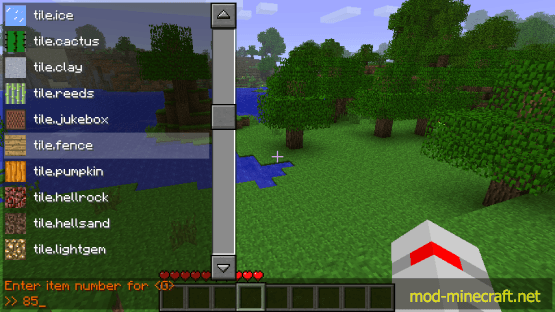 Just activate the mod then just press the key you want to bind. No memorizing key codes or names! Bind keys which are already used for something else! 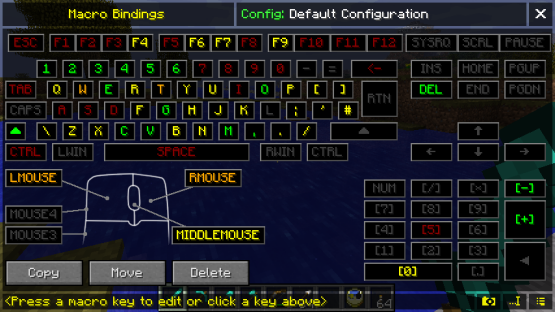 Want to put a macro on the number keys or WASD? Using the override function you can use these keys for both their normal function or as macros when you need them. Edit keybinds quickly. Change your binds whenever you want. 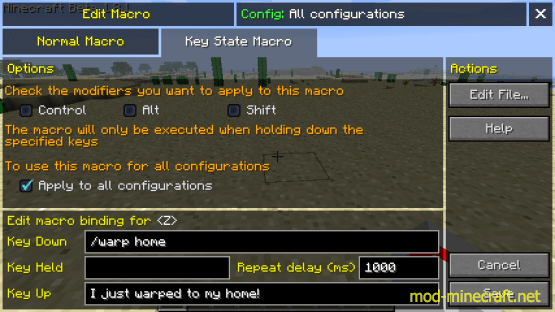 You can even copy and move macros from key to key with drag ?n drop. Lots of easy-to-use parameters. Lists of friends, automatic responses, warp points, towns, you name it. Enter the chat command (including the / at the start), separate multiple commands with pipe ?|? 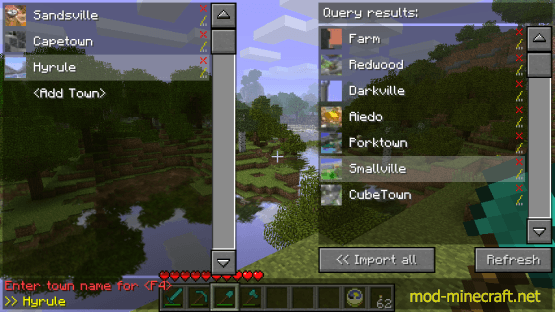 Download the .litemod file for your version of minecraft and save it into your ?mods? 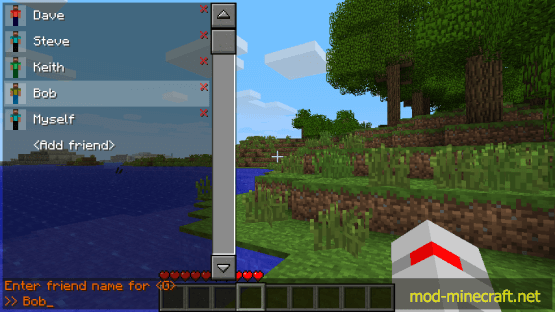 folder (create the ?mods? folder if it does not already exist) NOTE: Some browsers will change the file extension to .zip when downloading, if this happens be sure to change it back to .litemod or LiteLoader will not find the mod! KEY supports ?screenshot? and ?smoothcamera? KEYUP, KEYDOWN and TOGGLEKEY support ?playerlist? and ?sprint? Added ITEMNAME and TILENAME commands to get the new name identifiers for items and tiles respectively from their legacy IDs. Large internal overhaul of the events system, might be bugs please let me know. API Version to 13, now supports modules providing custom events. Added experimental filterablechat gui and corresponding event, for science. Disabled by default. All script actions that logically ought to return a value now return a value.